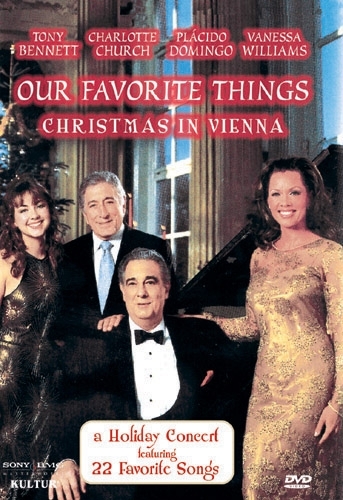 Four stars align in Vienna for an extraordinary Christmas concert starring jazz legend Tony Bennett, singer and actress Vanessa Williams, superstar tenor Placido Domingo, and including a special appearance by teen singing sensation Charlotte Church. Recorded live at the Konzerthaus in Vienna, Austria, on December 21, 2000. 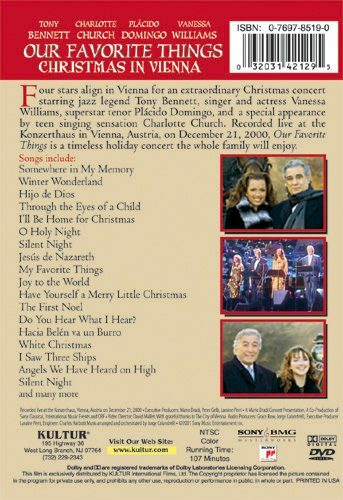 Our Favorite Things is a timeless holiday concert the whole family will enjoy.